China's trading volume of sharing economy reached 4.9 trillion yuan (0.7 trillion U.S. dollars) in 2017, up about 50 percent from the previous year, showing that sharing economy has become one of the major drivers of the country's growth. 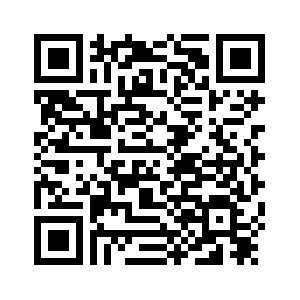 "There is a trend that is growing very strong in sharing economy. One of the fundamental reasons is that people like to share rather than own," said Peng Tao, CEO of Airbnb China. 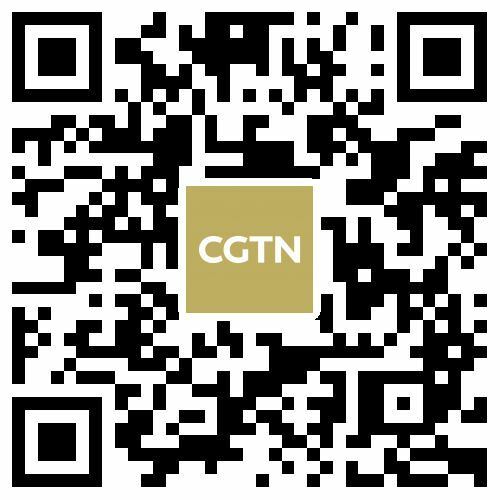 Xinhua News Agency defined bike-sharing as one of the country's "four great new inventions", indicating that China confirms the role of the "sharing economy" in helping the country transfer from a manufacturing-based economy to a service-oriented one. With government's "green light" and agenda putting the sharing economy as one of its priorities, sharing business soars and investors throw millions of dollars to "sharing label," from mere transportation and housing sharing to much wider areas such as production, skills, human resources and researches sharing. Sharing economy in China veered from the original meaning of "peer-to-peer businesses" to basically every short-term rental business, and it uses Internet technology to optimize resource distribution and improve efficiency. "The sharing is not only about home sharing, but also the experiences. For example, you can experience cooking in Shanghai. So all of these are only limited to the assets sharing," said Peng. 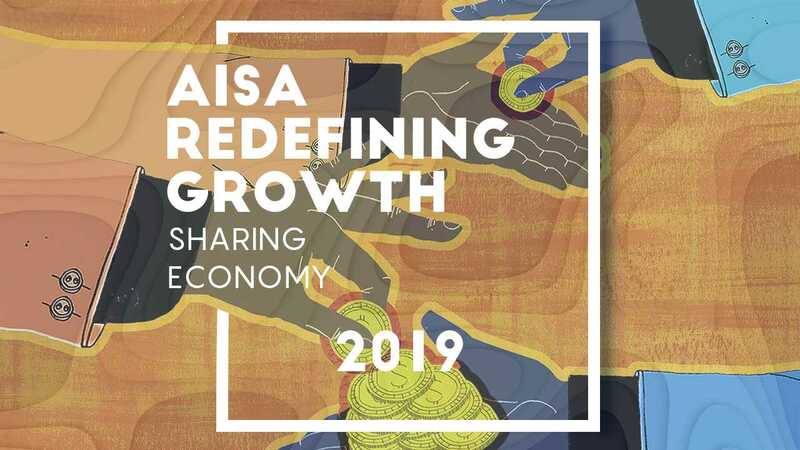 "But the most [marked] growth is still in 'peer-to-peer business' now, the scale for that is massive and hundreds of millions of people are directly or indirectly providing sharing economy. 600 million people are involved in this sector in China." He added: "We also found out that 94 percent [of] Chinese are willing to accept the sharing concept versus 43 percent in North America. China has 400 million millennials, larger than the whole population in the U.S., in Airbnb, we have 60 percent [of our customers] are millennials." 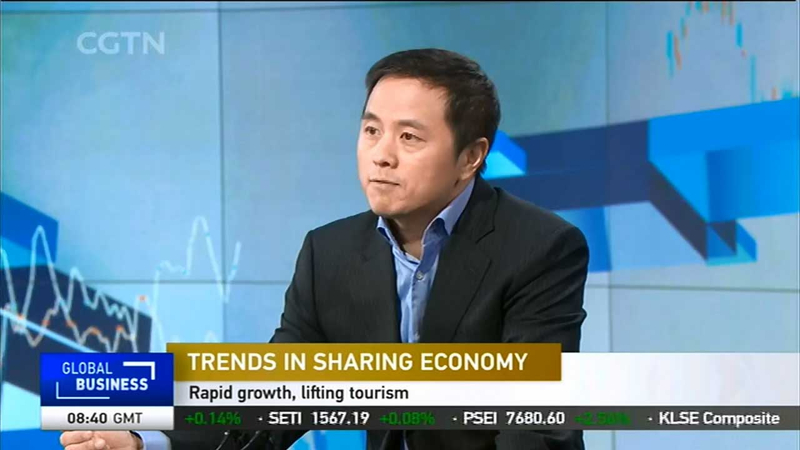 Peng Tao, CEO of Airbnb China during an interview with CGTN. In sharing economy, many people appreciate the connection that often comes with sharing someone's home. Airbnb has seen explosive growth in China last year. Being one of the parties to help launch home sharing standard, the company is working with the government to build a sustainable sharing business, which is in line with the supply-side reform in China, as more than 10 percent of the 70 million labor forces in the sector come from obsolete industries. There are some side-effects of the sharing economy, yet the sector is still growing in its own trends. Peng predicted that there will be a surge in Airbnb's booking in the Chinese New Year, because there is a new trend that people prefer to spend their New Year holiday overseas with their families. "People say that where there is a family, there is a home," said Peng.